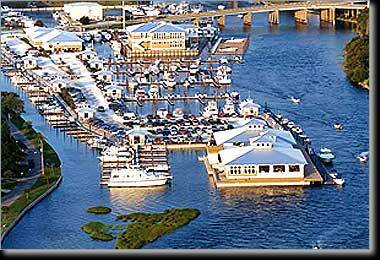 Long Bay Pointe Marina is the redevelopment of the former Lynnhaven Waterway Marina. 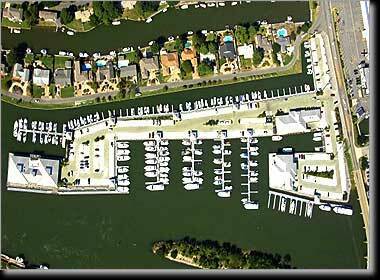 Located on Long Creek, Long Bay Pointe Marina is a complex including 215 boat slips, One Fish Two Fish Restaurant, Inlet Fitness Health Club and a fish market. Tom Langley served as Principal-In-Charge. The master plan was prepared to moor 24' - 50' boats. To increase the ratio of larger boat slips, a dead end cove was filled with excavation from an adjacent point of land thereby creating an improved marina configuration of four parallel floating piers with mooring on both sides. Also, these moorings are parallel to the current in Long Creek providing for safer navigation. Permits from all local, state and federal agencies were obtained. Stormwater treatment was a critical issue to gain the approval of the Chesapeake Bay Board. A reduction in pollutant loading was created with a unique gravel filter constructed between the existing deteriorated bulkhead and the new bulkhead, through which all stormwater would flow. This method of treatment exceeded the requirements of the Chesapeake Bay Board. Other design elements include a vinyl bulkhead and rip rap surrounding the entire facility, a new sanitary pump-out, a landscape plan, a relocated entrance from Great Neck Road, and dredging where necessary.